ONCE upon a time there was a farmer who had carted pears to market. Since they were very sweet and fragrant, he hoped to get a good price for them. A bonze [priest] with a torn cap and tattered robe stepped up to his cart and asked for one. The farmer repulsed him, but the bonze did not go. Then the farmer grew angry and began to call him names. The bystanders told the farmer that he ought to give the bonze one of the smaller pears and let him go. But the farmer would not and did not. An artisan saw the whole affair from his shop, and since the noise annoyed him, he took some money, bought a pear, and gave it to the bonze. And with that he began to eat the pear with gusto. When he had finished, he held the pit in his hand, took his pick-ax from his shoulder; and dug a hole a couple of inches deep. Into this he thrust the pit and covered it with earth. Then he asked the folk in the market place for water with which to water it. A pair of curiosity seekers brought him hot water from the hostelry in the street, and with it the bonze watered the pit. Thousands of eyes were turned on the spot. And the pit could already be seen to sprout. The sprout grew, and in a moment it had turned into a tree. Branches and leaves burgeoned out from it. 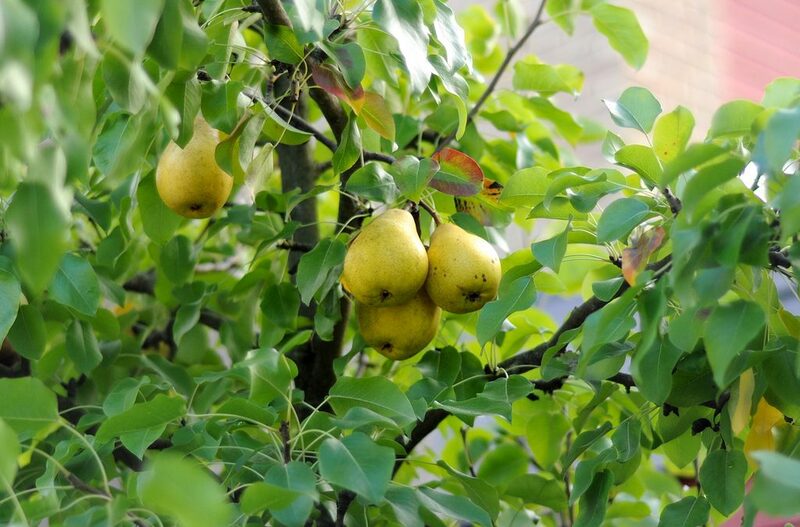 It began to blossom, and soon the fruit had ripened: large, fragrant pears, which hung in thick clusters from the boughs. The bonze climbed into the tree and handed down the pears to the bystanders. In a moment all the pears had been eaten up. Then the bonze took his pick-ax and cut down the tree. Crash, crash! so it went for a while, and the tree was felled. Then he took the tree on his shoulder and walked away at an easy gait. When the bonze had begun to make his magic, the farmer, too, had mingled with the crowd. With neck outstretched and staring eyes, he had stood there and had entirely forgotten the business he hoped to do with his pears. When the bonze had gone off he turned around to look after his cart. His pears had all disappeared. Then he realized that the pears the bonze had divided had been his own. He looked more closely, and the axle of his cart had disappeared. It was plainly evident that it had been chopped off quite recently. The farmer fell into a rage and hastened after the bonze as fast as ever he could. And when he turned the corner, there lay the missing piece from the axle by the city wall. And then he realized that the pear-tree which the bonze had chopped down must have been his axle. The bonze, however, was nowhere to be found. And the whole crowd in the market burst out into loud laughter.